Fresh Watermelon Dessert Recipes, Wow friends & family with fun watermelon desserts that look as cool as they taste. Sugar-free, fat-free & low-calorie. 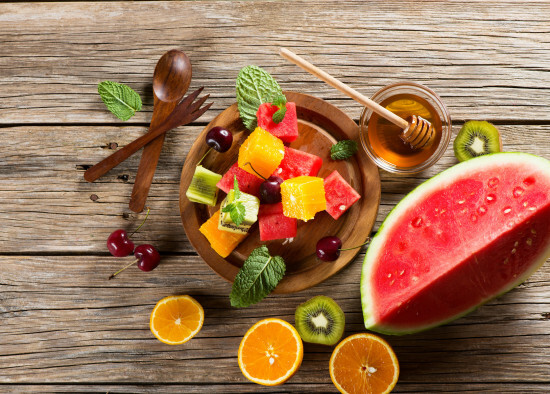 DIRECTIONS – cut ends off of watermelon and discard. Slice watermelon into thick rounds. Cut each round in half. Using a heart-shaped cookie cutter, cut out three heart shapes from the watermelon slice. Cut out one heart in the middle of the slice. Then cut a second and third heart on each side of the slice. As pictured above. Wash berries and grapes. Drain well. Pat dry. Fill heart-shaped cut-out in the middle with grapes. Fill one of the heart-shaped cut-outs on the side with raspberries. Fill remaining heart-shaped cut-out with blueberries. Optional – garnish with fresh mint leaves and serve. 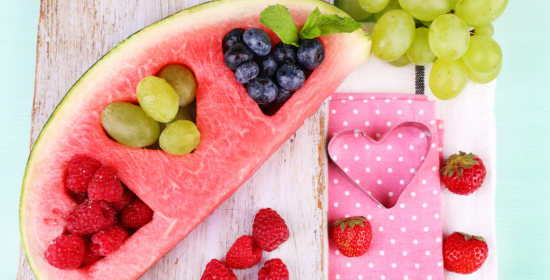 DIRECTIONS – slice off ends of watermelon, discard. Slice watermelon into thick rounds. Peel kiwis and slice thinly. Cut pineapple into chunks. Peel the oranges. Devein the oranges. Cut each orange slice into small pieces. 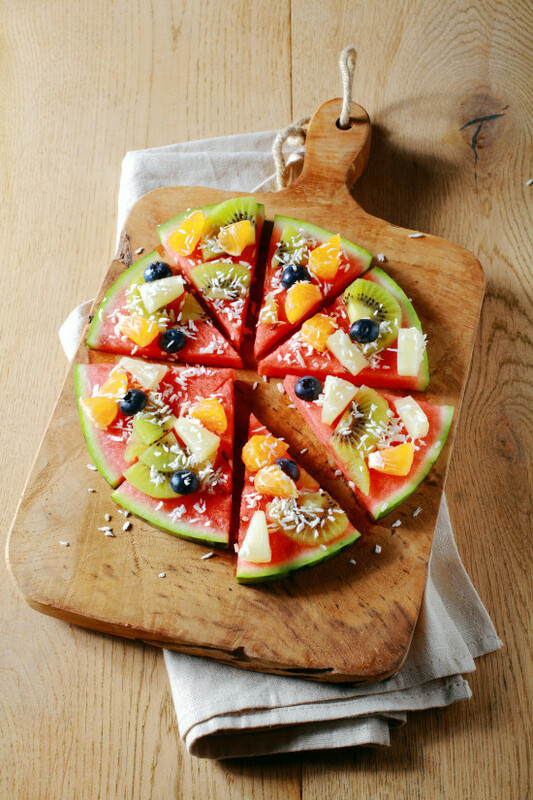 Arrange fruit on top of watermelon slices. Sprinkle with shredded coconut. Slice like a pizza pie. Serve. 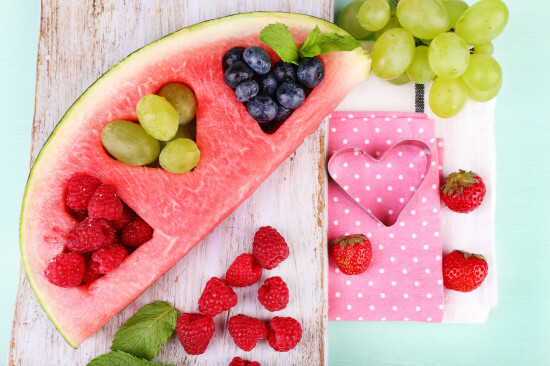 DIRECTIONS – slice ends of watermelon and discard. Slice watermelon into thick rounds. Cut each round into six triangles for medium-sized watermelon slices. Cut eight triangles for very large watermelon slices. Cut four triangles for small watermelon slices. Insert wooden popsicle sticks into the center of each rind. Fill decorative, shallow baking dish with ice cubes. 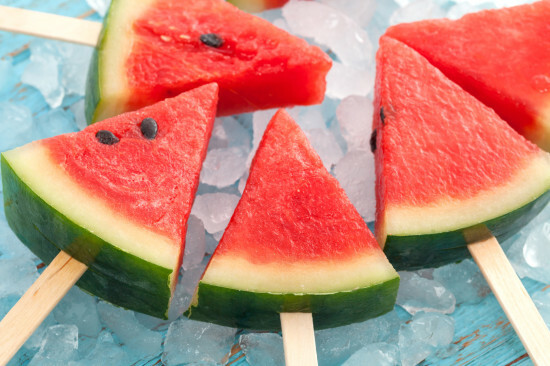 Arrange fresh watermelon popsicles on top of ice. Serve immediately. DIRECTIONS – slice watermelon. 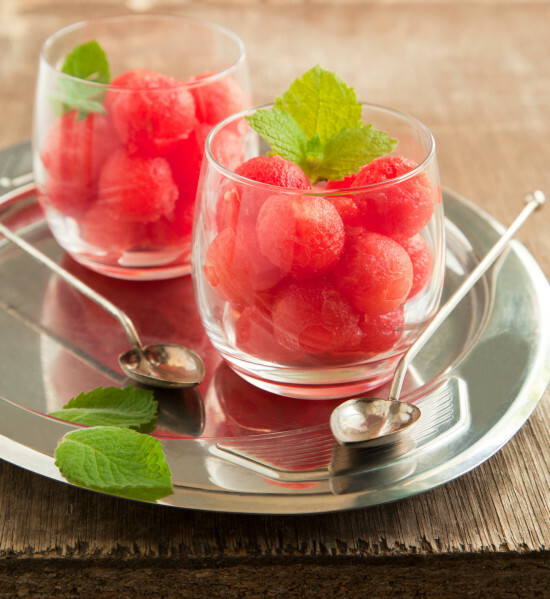 Using a melon baller, scoop out watermelon balls. Arrange melon balls in clear, decorative cocktail glasses. Garnish with fresh mint leaves and serve. DIRECTIONS – Cut off ends of watermelon. Discard. Slice watermelon into thick slices. Cut each piece of watermelon into as many cubes as possible. Peel kiwis and oranges. Cut kiwis and oranges into cubes. Remove any orange seeds. Pit cherries. Add fruit cubes and pitted cherries to large decorative bowl. Drizzle with a little bit of honey. Gently turn fruit to mix in honey. Serve. Metatags: Fresh Watermelon Dessert Recipes, Wow friends & family with fun watermelon desserts that look as cool as they taste. Sugar-free, fat-free & low-calorie.